Hello, everyone! My name is Banako and I am a staff person of MOSHI MOSHI BOX Harajuku Tourist Information Center! 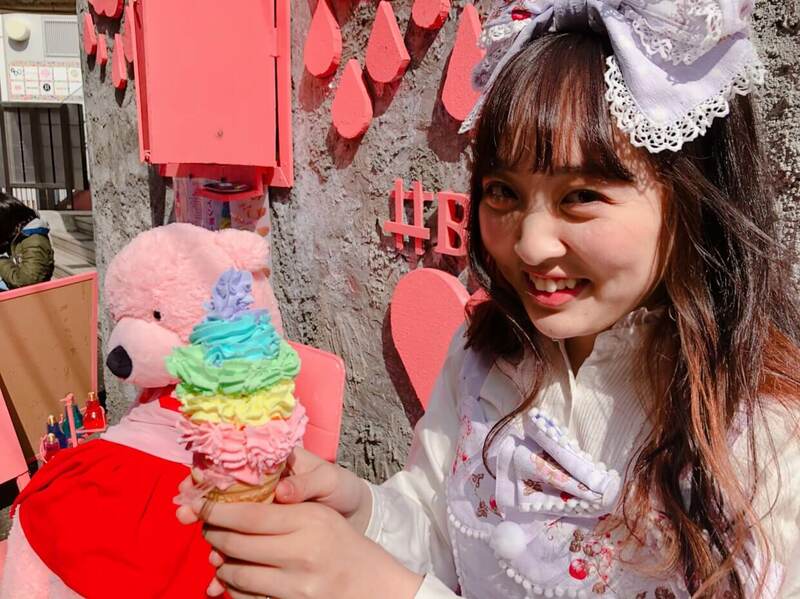 Have you heard of “Rainbow Soft Cream?” It is a sweets item sold in Harajuku that is gathering much attention on SNS nowadays. 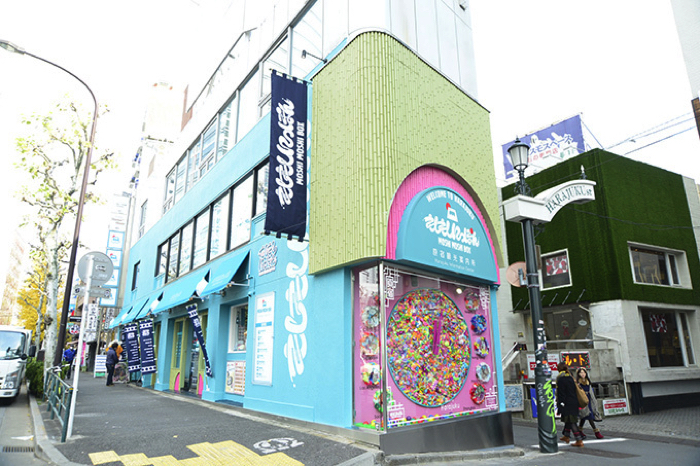 Harajuku is a place where many ice cream stores are located. “LE SHINER” which sells this item is often featured in TV programs as a shop that is offering Instagrammable sweets items. To get to the store, exit JR Yamanote Line – Harajuku Station / Takeshita Exit and walk straight down Takeshita Street. Then, make a right turn at the intersection where CROQUANTCHOU ZAKUZAKU is located. 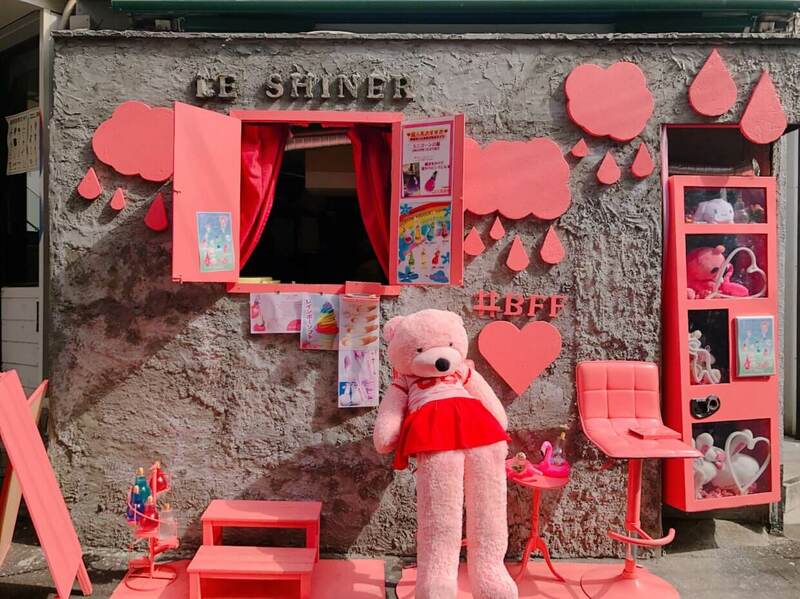 You can’t miss it, and the pink-colored bear sitting outside the shop will be there to greet you. 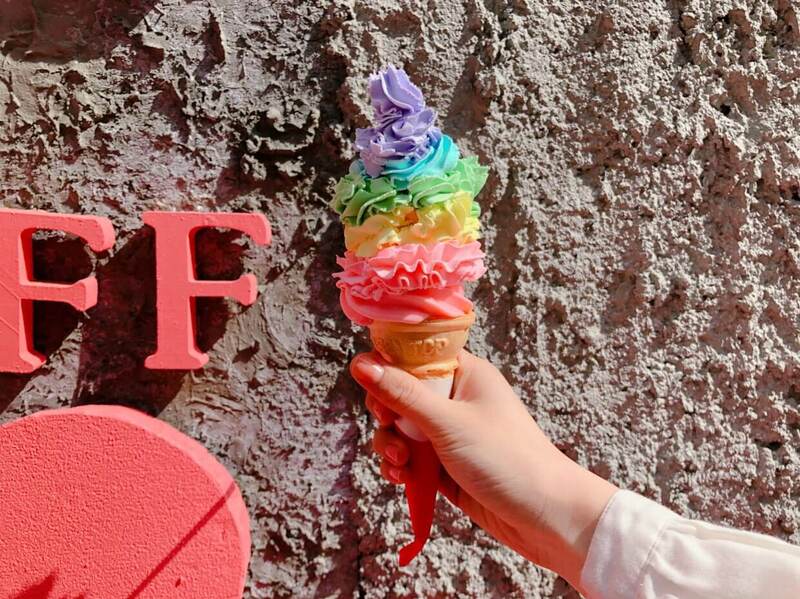 This is their popular sweets item –“Rainbow Soft Cream.” Rainbow colored fresh cream is placed around the pink-colored ice cream. I love desserts, so I love this item. The look of this item and the store is so gorgeous and cute, so I took many photos. Why not visit this shop when you visit Harajuku. MOSHI MOSHI BOX is a tourist information center located at the cross road of Takeshita Street, Meiji Street, and Harajuku Street. The staff there are experts on the Harajuku area. 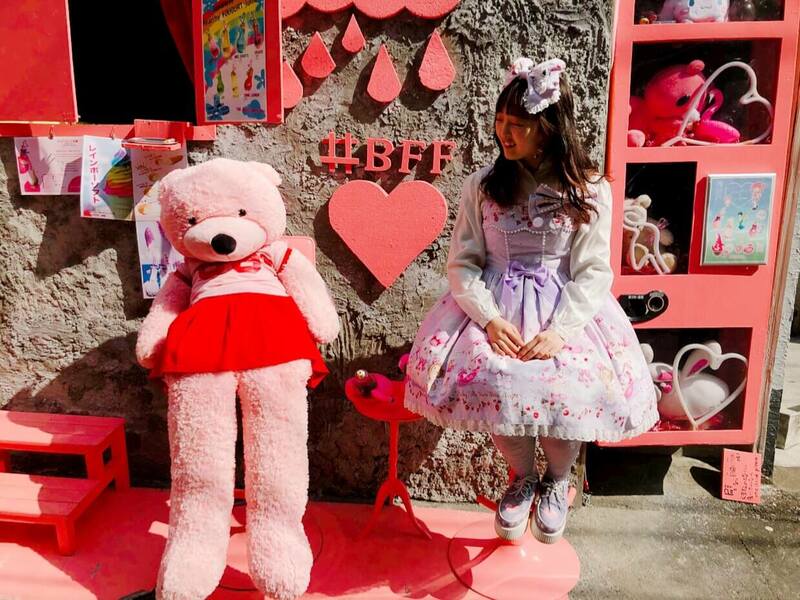 You can get the most up-to-date news of Harajuku from the site.